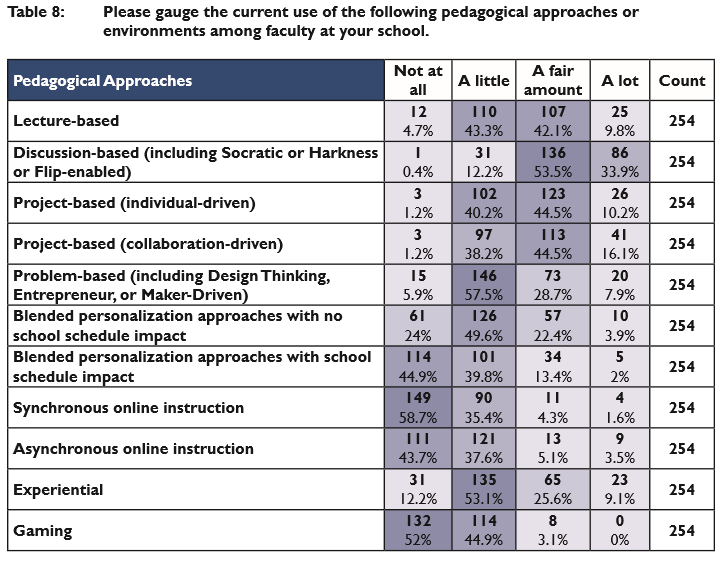 Project-Based Learning is taking hold at independent schools across the K-12 spectrum and comes in various forms: constructivist, maker-oriented, STEM-focused, entrepreneurship-driven, competency-assessed, standards-driven, modeling-based, experiential, leadership-focused, online and global to mention a few. In some contexts the projects offer discrete unit-based opportunities to enable greater student participation and collaboration around a content or thematic approach. In others, the project itself is the course and lasts over the course of a semseter, usually in high school grades. 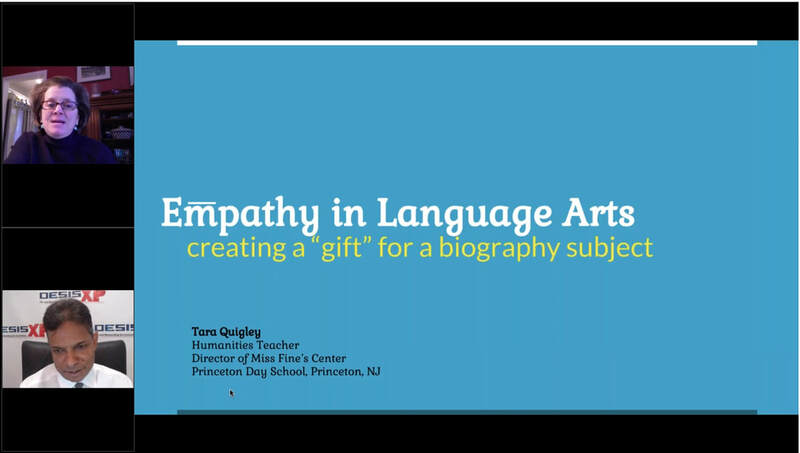 ​The emphasis on cross-curricular skills or competencies dovetails nicely with the PBL movement as these projects are usually inter-disciplinary and cut across content lines. Differences in approach often center on the skills being emphasized. Constructivist PBL, for example, stresses the importance of creation to engender deeper learning and thereby retention. At schools such as High Tech High (CA) this approach is often accompanied by significant pre-planning, exemplar development before project initiation, semester wide calendaring milestones and significant exhibition strategies. 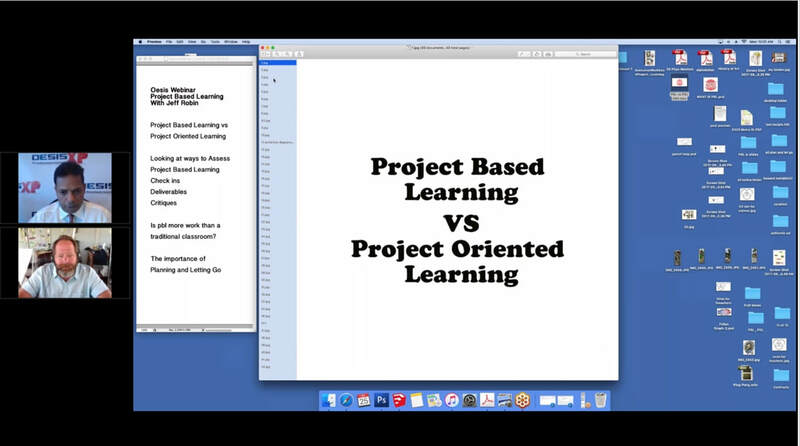 Online PBL is often done asynchronously as independent driven inquiry and project development. The opportunities it offers for student collaboration and a global perspective are attractive and embedded elements of this approach. 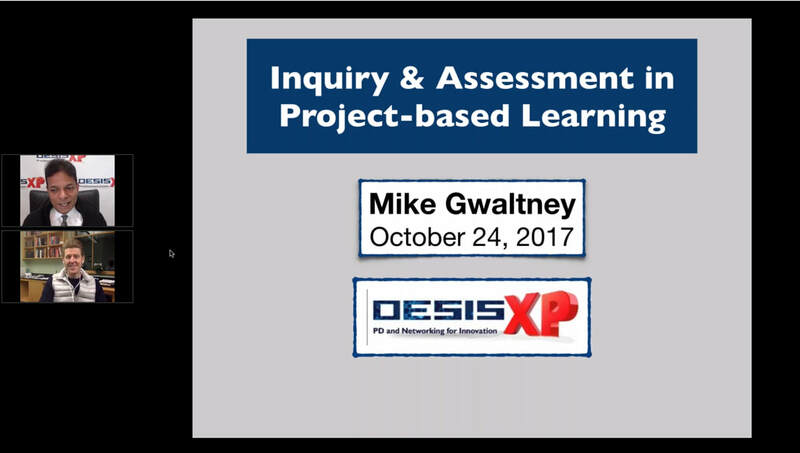 Project-based learning takes the teacher into a different context. The differences in assessment rubrics that focus on skills is one area of significant difference, others are a level of comfort with an element of uncertainty and even organized chaos in the classroom, the need to find alternative motivational strategies, the ability to anticipate bottlenecks and the need to recalibrate the pacing of a class as the project unfolds. 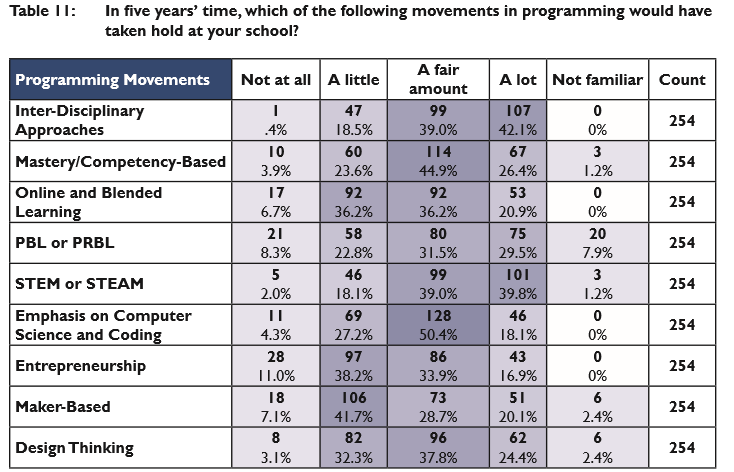 These two charts from our recent research show the increasing emphasis on PBL in independent schools.